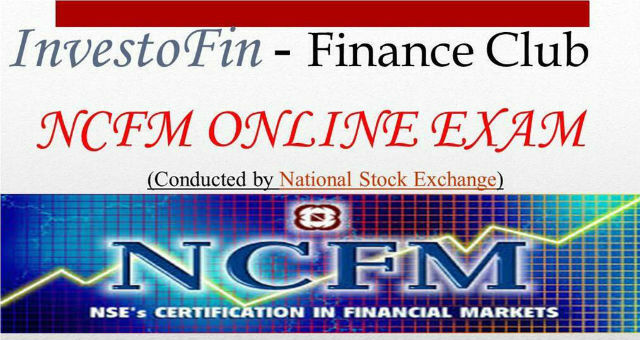 InvestoFin - Finance Club of JIMS organised “NSE’s certification in Financial Markets (NCFM) – Online Exam” on 17th February 2016. The exam was organised for the students of PGDM first year who are planning to opt for finance as major or minor specialisation. 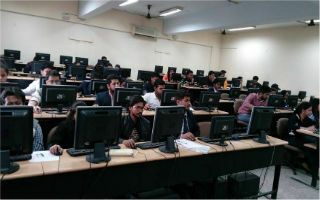 The online certification exam was conducted by Mr. Kunal Tyagi, Assistant Manager Business Development, National Stock Exchange in the computer lab at JIMS, Rohini campus. 38 students registered themselves for the exam and were very enthusiatic in appearing for the certification exam. 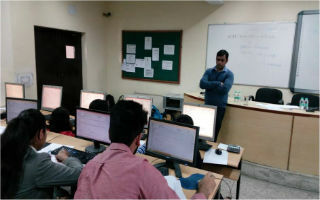 Students opted for various basic as well as intermediate level modules such as financial markets, commercial banking, securities market,equity derivatives, banking sector module, wealth management etc. This certification adds value to the students profile who aspire to flourish in the fields of finance and marketing of financial products/services. It also aims in enabling students to demonstrate their knowledge in relation to financial markets and institutions, which improves their chances of getting employed in the area of finance and getting equipped for a career in 21st century. Students performed well and got excellent scores.